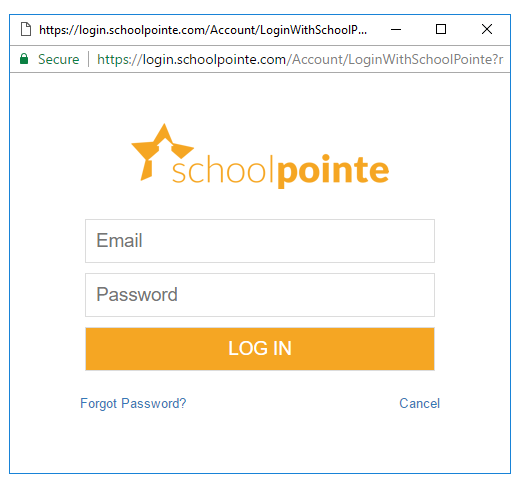 SchoolPointe has recently updated the login to the CMS. [Sign in with SchoolPointe]. Once you have selected this option it will then pop open a window for you to log in which allows for more secure communication between your browser and our servers. The first time you log in you will need to enter your email and your password you have always used. It will not pull your info over the first time if you have saved your email and password on the old login screen.